Jerry Yang is a recreational poker player of Laotian descent, currently residing in Temecula, California. Yang took the poker world by storm in 2007 when he won the World Series of Poker Main Event for more than $8 million. 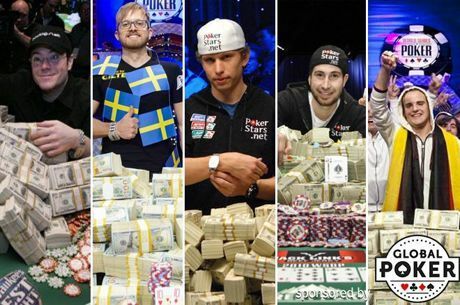 Although he occasionally buys into a WSOP or some other poker vent, none of his other achievements can compare to the WSOP victory. Jerry Yang was born in Laos before his family fled to Thailand where they stayed in a refugee camp for four years. From there, his family moved to the United States, landing in California. Yang, who holds a Master’s degree in health psychology, worked as a therapist and social worker prior to winning big in the world’s most coveted poker event. Since then, Jerry has quit his day job, but still continues to help out and give back as much as he can. A complete unknown to the poker world, Yang entered a satellite tournament for the WSOP Main Event for a whopping $225. After winning the $10,000 seat, Yang parlayed his $225 into a win at the 2007 WSOP Main Event for more than $8 million. A very loving and caring individual, Jerry donated a good portion of his winnings to charity. The Make-A-Wish Foundation, Feed the Children, and the Ronald McDonald House were all beneficiaries of Yang’s contributions. Although he doesn’t have any significant cashes other than his Main Event win, Yang still occasionally shows up to various tournaments around the world. He’s never considered himself a professional player by any stretch and would like to be known first and foremost as a family man. His second-biggest poker cash was the $75,000 Yang won for placing fourth in the $20,000 No-Limit Hold'em event at the NBC National Heads-Up Championship in Las Vegas in 2010. Then a few months later he final tabled the $1,000 No-Limit Hold'em tournament at the Venetian Deep Stack Extravaganza III in Las Vegas. He finished the event in in 4th place taking home $30,380. Jerry is married with six children and resides in California. He donated a big part of his WSOP winnings to a number of charities.